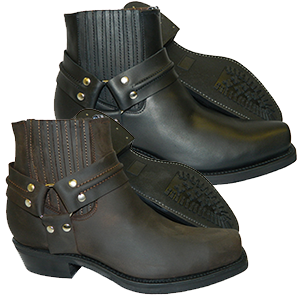 Sturdy biker boots in black and brown leather with comfort, style and protection in mind. 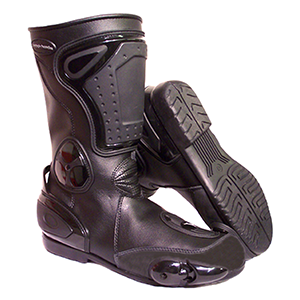 Probably the most comfortable bike boots in the world. 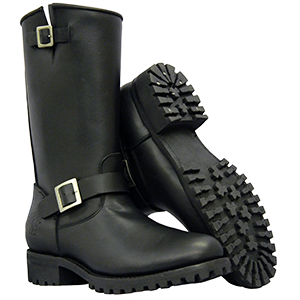 No need for walking boots with these. 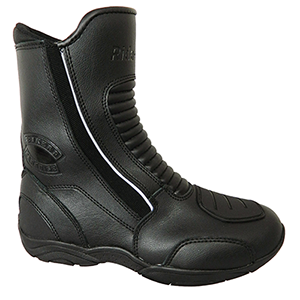 Good all round sports touring boots with excellent protection. Suitable for scooters. 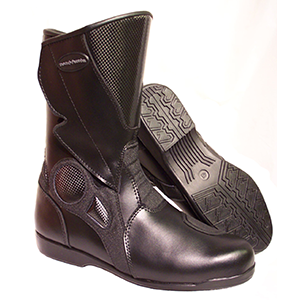 A waterproof but breathable hand-finished quality bike boot that goes up to a size 14! 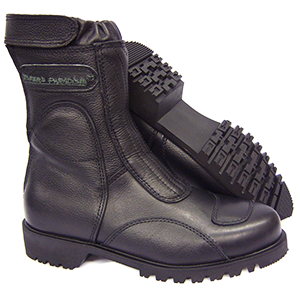 A heavy duty rounded toe low engineer boot from Grinder - made to last. 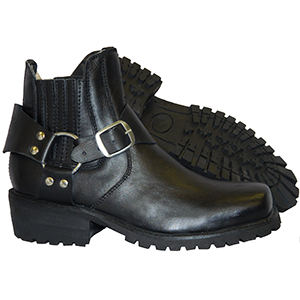 The ankle-boot version of the brilliant Viking Warrior Boot! 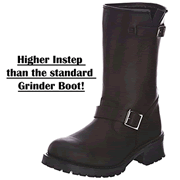 High Instep version of the ever popular Grinder boot! 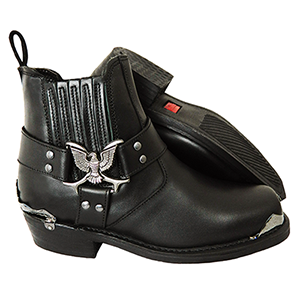 Extremely hard-wearing and durable Bikers Paradise motorcycle boots with a Goodyear welted rubber commander style sole and heel. 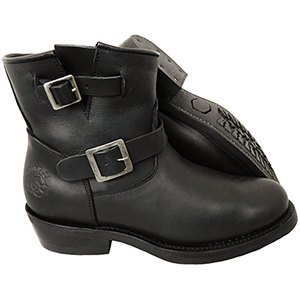 - An ankle boot that compliments our range of classic/cruiser/touring leather boots. Black or Dark Brown. 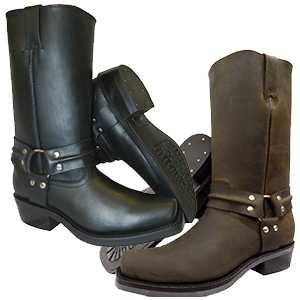 Very high quality cowhide leather. A stylish design with elasticated sides. Very high quality leather. Classic harness style with side loops. Welted repairable soles. 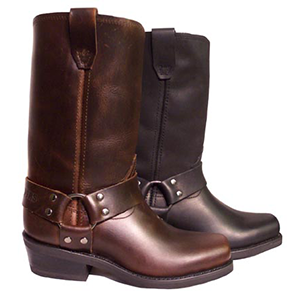 Very high quality, full grain cowhide leather. A stylish design with elasticated sides. 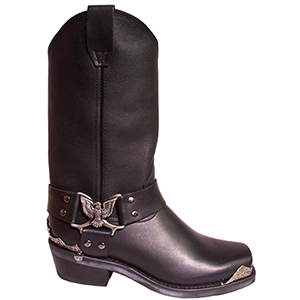 Antique silver Eagle motif on the side with heel and toe tips to match. 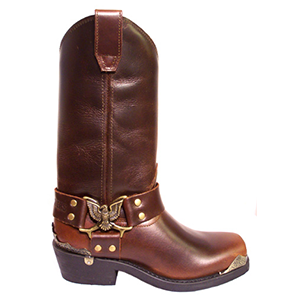 Very high quality cowhide upper. Classic style with side loops. 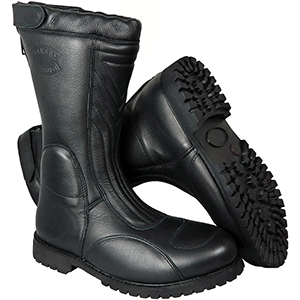 Heavy duty, hard wearing sole. 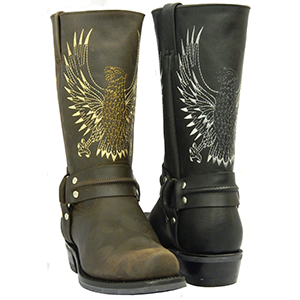 Eagle motif on the side with heel and toe tips to match. 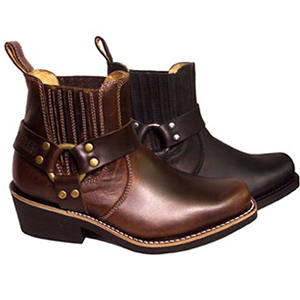 A stunning bike boot available in the finest quality brown nubuck or black cowhide leather upper. 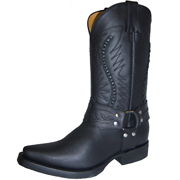 Made in very high quality, supple black cowhide. Fully lined with a waterproof liner. Heavy duty composite non-slip soles.